You choose a partner you can count on. You can count on our team of professionals to provide cost-effective, high-quality insurance solutions. Our relationships with industry partners, ensures you get the support you need and the coverages your clients require. hen the Panama Canal opened more than a century ago, the 50 mile passage was hailed as an important shortcut for ships that could cut nearly 8,000 miles from a voyage between New York and California. Since that time, there have been many other compelling reasons to keep a close watch on this historic gateway between oceans and hemispheres. Just ask Bob Repke, president of a medicaltravel company named Passport for Health and chairman of SIIAâ&#x20AC;&#x2122;s International Committee. Dhabi and other hot spots as patients and corporations alike “have realized that good health care can be founded also outside their boundaries.” Kimlinger’s most promising foray into Central and Latin America involves the employee assistance program space, which she describes as “a cost-containment strategy in many ways” wherein about 80% of issues can be resolved. Her firm’s chief challenge, however, will be establishing a strong provider network. Borderless Business Central and Latin America represents a virtually borderless business opportunity, Repke enthuses. “The only thing that stands between us and Mexico is a flight and an imaginary border because the people there are so much like us,” he says. Repke points out that California’s population is 35% Hispanic descent – a demographic trend that also has taken hold in Texas, Florida, New York and New Jersey, as well as cities along the entire U.S. and Mexico border. The insurance industry has responded by opening key outposts in the region. For example, Repke says New Orleans-based Pan American Life has its Latin American headquarters in Panama and Chubb has regional offices throughout Central and Latin America. Others include MAPFRE Insurance and Allianz. Moreover, he says large brokers are establishing or buying regional players in those countries and the captive business has an active interest throughout the region. conference I thought this could be a place where practical information could be shared and contacts made,” he says. “I was not disappointed. I was able to make some great contacts, learn about the culture and the way some in Latin America see insurance and specialty captives.” Vega is in the process of finishing a short video presentation for captives in Spanish and hopes to have formed at least one captive in the coming next year in a few Central and Latin America countries his firm has identified. Arms also sought networking opportunities at SIIA’ International Conference, as well as some face time with the local Panamanian team from Pan-American Life Insurance Group and others with whom he worked. Going forward, he expects business opportunities to expand across the region, “albeit with occasional bumps in the road that make it more difficult and yet also more rewarding as the everyday obstacles and sometimes macro problems are navigated.” ■ Bruce Shutan is a Los Angeles freelance writer who has closely covered the employee beneﬁts industry for more than 25 years. ne thing that’s clear for success on any key policy issue is this – engagement and relationships are critical. On the state and federal level, policy makers and regulators are looking at you and your customers. They are looking at how you do business, what services you sell, what type of advice you are giving and what your revenue stream looks like. Whether it be healthcare or tax reform, they are also looking for new revenue streams themselves. As SIIA and its members look at these challenges, it is more important than ever to get engaged. One of the most frequent questions I get is, “How can I engage in Washington?” My answer is that you don’t always have to engage Washington. While meeting in Washington is an important part of the process, you can engage Washington on your own turf and in your own way. them, tell them about your business, your employees and your work to help the community. Meeting with Members and staff is also an ongoing policy activity for SIIA’s D.C. legislative office. If you find yourself in D.C. for meetings, conferences, or simply a visit, let us know. We will be happy to coordinate meetings. F i n d Out HOw yOu Ca n Bene Fit FrOm Ou r 2 0 ye ars OF e xpe rie n Ce . or SIPAC. For years, SIPAC has been building connections with SIIA members and their representatives in Washington, both Congressmen and Senators. As an additional tool for SIIA and its members to engage with policy makers and impact legislation, SIPAC forges strategic partnerships that align with the association’s principles, and allows it to contribute to the political process on a bipartisan basis. While this is certainly not a new endeavor for SIIA, the renewed focus is a key element within the overall political and policy strategy aimed at building and strengthening key relationships. SIPAC is another great avenue for SIIA members to become involved and directly support our political and legislative activities. Formed about two years ago by SIIA, SIDC organizations came together to support the Self-Insurance Protection Act (SIPA) introduced in the House and Senate. The SIDC is also focused on critical state and legal issues surrounding the selfinsurance marketplace, as well as regulatory issues such as the ongoing implementation of the Cadillac Tax. Politically and legislatively SIIA continues to advance issues that are important to you. Your continued help and support is critical to making this happen. Let us know if you are interested in becoming engaged – in D.C. or at home. Another way SIIA seeks to engage with policy makers and regulators on behalf of our members is through the creation of the Self-Insurance Defense Coalition (SIDC), a leading national policy coalition that seeks to defend, support and grow the self-insurance industry. Through a diverse range of participants, the SIDC is both a policy forum and legislative action network to discuss and activate supports on self-insurance and related benefit issues. With so many issues facing self-insurance, the SIDC is larger and more diverse than ever before. In addition to SIIA, the SIDC membership includes health and underwriting industry groups, labor and trade organizations, and large business, retail and manufacturer associations. This unique combination of organizations coming together around the self-insurance marketplace is critical to our future success in a challenging policy and regulatory environment. New York Stop-Loss Bills Come Down to the Wire, Maryland Self-Insurance Study Seen as Opportunity Editors Note: Due to The Self-Insurer production schedule, certain information contained in this article may be superseded by more recent developments and as reported by SIIA in real time. SIIA representatives were scheduled to attend an exploratory meeting with DFS but that meeting was canceled by the regulatory office just 30 minutes before its scheduled time, after the compromise legislation was introduced. SIIA continued to work directly with the chairmen of both the Senate and Assembly Insurance Committees on amendments that would assure that grandfathered stop-loss plans would maintain the ability to change stop-loss carriers in the future. As the legislature approached its summer recess last month the fate of the legislation was unknown. The visibility of the association’s advocacy campaign was heightened this spring when 26 members and staff convened in Albany and received encouragement from the chairmen of both the Senate and Assembly Insurance Committees before visiting the offices of many legislators. Dan Carlton, regional sales vice president of SIIA member HM Insurance Group, believes that implications of the New York legislative campaign could affect self-insurance nationally. “A ruling in New York helps to set the groundwork for the next line to be drawn in the sand,” he said. 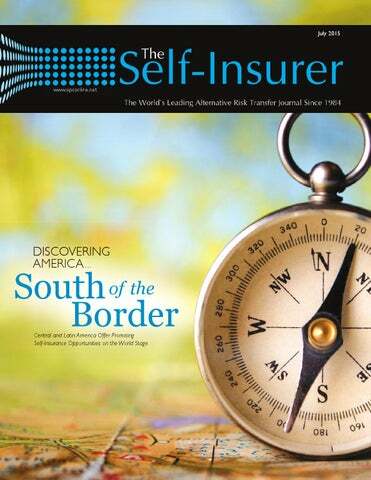 “If states restrict the permissible group size for self-funding, there could be a domino effect that rattles the selffunded market nationwide and limits employers’ options to determine the best benefits programs for their employees.” SIIA member Mike Kemp, president of IHC Risk Solutions of Enfield, Connecticut, which provides stop-loss insurance to many New York employers, believes that educating legislators and regulators about self-insured benefits plans is a long-term challenge. His company encouraged its New York clients to support the stop-loss bills. “I hope we were able to give them a sense of urgency to contact their representatives,” he said. he Employer Shared Responsibility provision of the Patient Protection and Affordable Care Act (“ACA”) went into effect for certain applicable large employers on January 1, 2015.1 The Employer Shared Responsibility provision is often referred to as Pay or Play, the Employer Mandate, or 4980H subsections (a) and (b). The applicability date of the Employer Shared Responsibility provision (“Employer Mandate”) depends on an employer’s size, as well as, whether or not the plan is a non-calendar year plan and meets the non-calendar year plan transition relief (provided by the ﬁnal regulations issue on February 12, 2014).2 As of January 1, 2015, the Employer Mandate is applicable to employers with one hundred or more full-time employees including full-time equivalents. Transition relief for certain smaller employers expires for 2016. Therefore, as of January 1, 2016, the Employer Mandate is applicable to employers with 50 or more-full time employees including full-time equivalents. It’s important to note that the size of the employer is based on actual employees and not based on the number of employees enrolled in the employer’s health plan. The Employer Mandate is in effect for applicable large employers regardless of whether or not the employer’s plan is grandfathered or non-grandfathered. language. The Employer Mandate is an employer requirement and employers must carefully contemplate their decision to “pay or play” as penalties are not automatic. The imposition of penalties occurs when an employee goes to the Exchange and receives a subsidy. Employers that are subject to the Employer Mandate and wish to comply (and avoid penalties) are required to measure employees either via the look-back measurement method or the monthly measurement method and subsequently offer coverage which is affordable and meets minimum value to all full-time employees, as defined by the ACA and their dependent children. With the monthly measurement method, the changes to the plan document are generally minimal. The plan language, however, should be reviewed to ensure that employee is defined appropriately and that rehire provisions are compliant. if their hours of service drop below the 30 hours. This creates a potential gap in coverage with respect to stop loss policies and plan document language. A gap could be found if the eligibility provision provides only that employees must average 30 hours of work per week to be eligible, but employees who are locked in reduce hours in service below the 30 hours per week threshold. Will the stop loss policy cover these employees who aren’t technically meeting the eligibility requirements? In order to close this gap, plans may need to modify their eligibility language and/ or definitions of full-time employee and possibly add other definitions associated with the employer’s process into the plan document. While the Employer Mandate does not require modifications to plan document language, this potential gap is another reason why employers should analyze their processes and plan documents. The level of detail the employer includes in the plan document is at the discretion of the employer, but the employer may also consider discussing the Employer Mandate with their stop loss carrier. If the Employer Mandate is applicable to an individual employer, plan documents should be reviewed and modified on a case by case basis as there are many variables in these counting methods and the appropriate changes that need to be made to ensure compliance and eliminate the potential for gaps in coverage. Employers should provide timely notification to stop loss carriers regarding any changes made to plan language (as required by the stop loss policy, if applicable). Communication between all entities, including the plan, the employer and the stop loss carrier, is critical to ensure all parties are on the same page – especially as additional challenges continue to arise. including termination and rehire and any applicable definitions, of the plan document may be affected depending on the measurement method selected and plan language may need to be modified to align with the employer’s process. As plan documents are necessarily a unique reflection of a plan sponsor’s underlying coverage, the ongoing implementation of the ACA, including the Employer Mandate, has forced many plan sponsors to take a look at their plan document and consider what amendments may be required. Plans that do not currently address rehires or an annual open enrollment period should review and revise their plans accordingly. The extent of changes to the definitions, eligibility, termination and rehire provisions will depend on the language that is currently contained in the plan document. Shared Responsibility for Employers Regarding Health Coverage, 26 CFR Parts 1, 54, and 301, 79 Fed. Reg. 8543, 8551 (Feb. 12, 2014). 759 F.3d 358 (4th Cir. 2014), cert. granted, 83 U.S.L.W. 3102 (U.S. Nov. 7, 2014) (No. 14-114). 4 See State Health Insurance Marketplace Types, 2015, http://kff.org/health-reform/state-indicator/state-healthinsurance-marketplace-types/ (as visited on June 5, 2015). • Certain employer payment plans that cover only more-than-2% shareholders of a Subchapter S corporation. Practice Pointer: An employer payment plan is any arrangement through which an employer pays, directly or indirectly (e.g. including direct or indirect payments with after-tax dollars), an employee’s premiums for major medical coverage purchased in the individual market (inside or outside the exchange) and/or Medicare Part B or D premiums. Employer payment plans will violate one or more of the health insurance reforms added by the ACA (including the prohibition on annual dollar limits on essential health benefits and the requirement to provide preventive care without cost sharing) and as such, excise taxes of up to $100 per day per employee would apply under Code Section 4980D. See IRS Notice 2013-54 and Agency ACA FAQs XXII. The Notice also describes and clarifies the types of permissible arrangements that can be used for employers to reimburse Medicare Part B or D premiums or Tricare expenses without running afoul of the health insurance reforms. Finally, the IRS clarified the application of Notice 2013-54 to certain after-tax arrangements that directly or indirectly reimburse employees for individual market premiums. Practice Pointer: Notice 2015-17 does NOT change the conclusions reached in Notice 2013-54 regarding employer payment plans and HRAs. Arrangements that pay or reimburse an employee’s premiums for major medical coverage purchased in the individual market still violate the health insurance reforms added by the ACA. Rather, Notice 2015-17 provides limited relief from the excise taxes that would otherwise be imposed under Code Section 4980D on such arrangements. This relief is discussed more fully below. Employers that maintained an employer payment plan will not be subject to 4980D excise taxes (and will not be required to file a Form 8928 for 2014) because they maintain such a plan, if they were NOT an applicable large employer in 2014 (as that term is defined in Code section 4980H). Likewise, the relief will continue through June 30, 2015 if the employer was NOT an applicable large employer in 2015. An employer is not an applicable large employer for a year if they employed on average less than 50 “full-time equivalents” in the prior calendar year. This relief does NOT apply to stand alone HRAs or HRAs that reimburse medical expenses other than insurance premiums. applies to all arrangements that pay for or reimburse individual market health premiums. Many had previously taken an erroneous position that HRAs that reimburse solely individual market premiums were allowable under the prior Notice. Presumably the limited transition relief is an acknowledgement of the confusion on this issue. be taken to ensure that any deduction under Section 162(l) is coordinated with premium tax subsidies that might otherwise be available as addressed in Revenue Procedure 2014-41.
g! A Risk Relieving Solution for Employers Who Have Stop Loss Coverage Employer Advantages: • Stop Loss rates will decrease due to an improved claims experience and fewer specific payouts. • Employers receive favorable initial Stop Loss rates because of discounts usually applied to managed care partnerships by carriers. In the ﬁrst half of 2015, six states have already passed legislation that updates their captive law. .S. captive domiciles are working behind the scenes to stay competitive in the current captive insurance marketplace. So far this year, the state legislatures for six domiciles have updated captive laws and three additional state legislatures are working to introduce new captive legislation. With more than thirty ﬁve states that have enacted captive law, U.S. captive domiciles have to keep their laws up-to-date to stay competitive in the onshore market. end of the decade, approximately 13 states passed law to become captive domiciles. Some of those states, such as Vermont and Hawaii, became wellknown, established captive domiciles, other captive domiciles were not so active in the industry, such as Florida and Virginia. States enacting captive law slowed during the 1990s, with less than a handful passing legislation. By the end of the decade there were 18 states with captive legislation on the books. Beginning in 2000, as the captive marketplace heated up, more and more states passed laws allowing for captive insurers. New captive domiciles exploded onto the scene – between 2000 and 2010, fourteen states became captive domiciles. In the early part of the 2000s, many states passed captive legislation in response to the hard market affecting the insurance industry. However, the current extended soft market has not hindered new states from wanting to become captive domiciles. Since 2011, five more states have enacted captive legislation. The most recent state to enter the captive marketplace as a domicile was Ohio just last year. In addition to new states becoming captive domiciles, many states that had enacted captive law in the 1980s and 1990s began updating their existing laws to become more competitive in the captive marketplace and to be attractive to new and redomiciling captives. Tennessee, which in the 1980s was a very active captive domicile, wound up letting its captive interests slide during the 1990s and 2000s. In 2011, the state revised its captive law and established a captive insurance department. Since then the domicile has added more than 30 captives to its roster. It’s this kind of success that many states would like to emulate by updating their old captive laws. To be competitive, domiciles amend their captive laws in a number of ways. Some new laws have been enacted to reduce premium taxes. Often captive law is changed to make it less onerous for captives to be set up or to expand the types of captives allowed to form. Another reason legislatures change captive laws is to correct oversights and loopholes inadvertently placed in previous iterations, as well as to modernize laws that have been on the books for a long period. This is especially true for domiciles that have had captive law for a few decades or more and are looking to gain a foothold in the market. addition to cash, trust and letters of credit. To be consistent with other provisions of Vermont law, the number of incorporators was reduced from three to one. There are technical provisions regarding protected cell and incorporated cell captives. Finally, the new legislation adopts several guidelines recommended by the NAIC as regards captives and risk retention groups. Additionally, Oklahoma, Illinois and North Carolina are states that are looking to update their captive law in 2015. Oklahoma originally passed its captive legislation in 2004, but it wasn’t until the law was revised in 2013 that the state really began entertaining potential captives. At the same time the Oklahoma Captive Insurance Association was formed to help foster captive growth in the state. At the end of 2014, the new domicile already had 47 captives on its roster. North Carolina just enacted captive law in 2013 and already has more than 50 captives domiciled in the state. Illinois has been a captive domicile since 1989 and is looking to reduce taxes for captives with legislation that has already passed in the state senate. As the domicile options for captives increase – both onshore and offshore – captive domiciles will have to continue to work to make themselves more competitive. There is a good reason that Vermont is the top captive domicile in the U.S. – the state has always stayed on top of changes in the marketplace. Captive numbers keep growing and in order to get a piece of that growing business, captive domiciles will have to work hard to stay competitive through sound regulation and up-to-date captive law. ■ Karrie Hyatt is a freelance writer who has been involved in the captive industry for more than ten years. More information about her work can be found at www.karriehyatt.com. Perspectives on ACA Implementation Editor’s Note: The author of this article is a summer intern for the Self-Insurance Educational Foundation (SIEF). The Foundation periodically arranges internship opportunities for students who are interested in the self-insurance industry. n March 23, 2010 President Obama signed into law the Affordable Care Act. The run up to the passage of the ACA was shrouded in mystery as was evidenced by Representative and Houses Speaker, Nancy Pelosi’s infamous comment that, “... we have to pass the bill so that you can ﬁnd out what is in it.” After its passage the ACA suffered a number of setbacks including enrollment problems with the website, a close call at the United States Supreme Court on the issue of the constitutionality of the law, a religious liberty challenge by Hobby Lobby et al, skyrocketing premiums, missed enrollment targets, deteriorating public favorability and a series of damaging statements by ACA architect Jonathan Gruber. • Bob Baisden, President of International Assurance of Tennessee, a managing general underwriter. • Ernie Clevenger, President and Chief Executive Office of CareHere, a company that specializes in providing on-site health and wellness centers • Anne Gustafson, the Compliance Officer for Pro Claims Plus, a third party administrator based in Fort Wayne, Indiana The questions that were asked were as follows: • When the ACA was passed, what did you perceive to be the problems that your industry would face going forward? • What impact has the ACA had on your industry? • Has the ACA improved business opportunities and how has it done so? • From your perspective, do you believe that it remains attractive to self-insure employer based benefits in the post ACA environment and why? • Lastly, as the ACA continues to be implemented what are the biggest challenges that you see for your Industry? was passed, what did you perceive to be the problems that your industry was going to face? In response to that question, Mr. Clevenger was particularly concerned that the regulations would skew the law in such a fashion to favor a single-payer system. Mr. Clevenger also acknowledged that as the law developed, he believes that it actually came to favor self-funding and to make self-funding of benefits more attractive. Mr. Clevenger noted that the demand for onsite medical centers has increased substantially due to the increase in number of employers who are selfinsuring as well as the additional emphasis on cost containment. Mr. Baisden noted that for stop loss carriers the incidence of million dollar plus claims has substantially increased and the incidence of record-breaking claims is increasing substantially. Mr. Ritchie noted that the market for self-insurance has grown considerably because the ACA forces employers to think about benefit issues. Mr. Clevenger also noted that there have been changes in the brokerage community. Specifically, smaller brokers have decreased in number due to lower commissions and a more sophisticated brokerage has developed when it comes to self-funding. The responses reflected that the administrative costs associated with the operation of benefits plans have increased under the ACA. opportunities and how has the ACA done so? Mr. Ritchie, Mr. Clevenger, Mr. Baisden and Ms. Gustafson all agreed that the ACA has improved business opportunities for the self-insurance industry. They stated that self-insured plans enjoy greater flexibility than fully insured plans and that the self-insured plans still enjoy the advantage of avoiding state based regulation. The ACA forces employers to consider how they fund benefits and that forced examination has led additional employers to conclude that selfinsuring benefits is a viable and attractive alternative. Additionally smaller groups are starting to use self-insurance to provide benefits. This has to be a breath of fresh air for the selfinsurance community as in the run up to the passage of the ACA there was significant discussion that the ACA would cause employers to cease providing benefits and simply pay the requisite penalties. ACA are better managed in a selfinsured environment. Additionally, as the promises of cost savings under the ACA are fading, self-insuring benefits becomes more attractive way to manage costs. Mr. Ritchie, Mr. Baisden, Mr. Clevenger and Ms. Gustafson all noted that self-insuring benefits appears to be the most cost efficient and transparent way to provide benefits. continues to be implemented what are the biggest challenges that you see for your industry? Avoiding the negative potential of the upcoming Cadillac tax was the most common concern relative to future challenges. While the Cadillac tax is not implemented until 2018, with penalties showing up in 2019, it is clear that it is a present concern for the self-insured marketplace. As is often the case with legislation the devil is in the details and the details are in the regulations which are still being developed. Employers, TPAs consultants and others are facing the challenge of designing plans that will meet the requirements of the ACA without triggering the excise tax. The second most prevalent challenge noted concerned medical stop loss insurance. Two related themes were noted. First, the continuing battle by states to raise the minimum attachment points for medical stop-loss insurance. If attachment points are raised, smaller employers may be priced out of the self-insurance market place. The second theme was the attempt to redefine medical stop loss coverage as health insurance. This could open the door to increased state based regulation and it could negatively impact the protection provided by pre-emption of state law. 5 Fast Facts About Captives for Brokers Editor’s Note: This is the ﬁrst of a three-part monthly series leading up to SIIA’s national conference in October that is geared toward educating brokers and advisers on alternative risk transfers involving captive insurance solutions. The aim is to address any concerns and misperceptions, as well as better prepare them to answer client inquiries about these arrangements, particularly in small and middle markets. here’s no denying that brokers have tremendous depth of knowledge about a myriad of issues affecting their employer clients, but captive insurance solutions may not necessarily be one of them. The topic is not easily understood and can be prone to misconception. Here are ﬁve fast facts about captives for the broker community to consider, with key assists from Jerry Messick, CEO of Elevate Captives and Martin Eveleigh, chairman of Atlas Insurance Management, both of whom are members of SIIA’s Alternative Risk Transfer Committee. The common denominator between captives and self-insurance is a quest for greater cost control beyond traditional insurance vehicles or fully insured arrangements and in most cases, the aim is to supplement coverages and increase deductibles. Captive insurance companies, also known as special purpose insurance companies, are privately owned, legally formed entities that insure the risks of one or more companies owned by the captive’s founders. Off-shore jurisdictions, many of which are in the Caribbean, represent one of three key worldwide markets alongside Europe and the U.S. According to the Marsh Survey Group, U.S. companies own 57% of the world’s captives, which comprise more than 20% of worldwide corporate P&C coverage and captives represent between $55 billion and $60 billion in annual premiums. More than 90% of Fortune 500 companies use captive insurance companies and all 30 companies listed in the Dow Jones Industrial Average index have captives, though there’s growing interest among small and midsize employers to duplicate what their larger counterparts have done in this area. There are many types of captives: • Single-parent captives that underwrite only risks of related group companies. • Diversified captives that underwrite unrelated risks in addition to group business. • Association captives that underwrite the risks of members belonging to an industry or trade association as the name suggests. group of businesses that are otherwise unrelated. Agency captives that, also as the name suggests, insurance brokers or agents form and control so that members can participate in high-quality risks. Rent-a-captives that provide access to captive facilities with the help of insurance companies without members needing to capitalize the arrangement. Special purpose vehicles that reinsurance companies use to issue reinsurance contracts to their parent and a bond issue to cede risks to capital markets. Risk retention groups involving a “liability” only insurance company owned by its policyholders. Protected cell captives that separate assets and liabilities from a company’s main or “core” assets. Enterprise risk captives that individuals form to provide insurance coverage for often unrecognized exposures that otherwise would reside on a corporate balance sheet. Captives aren’t for everyone, but they do appeal to profitable companies that fit certain criteria and have proven to be an enormously powerful financial planning tool among small and midsize firms, which account for the fastest-growing segment of businesses using these programs. CAPTIVE WORKSHOPS TARGET BROKERS at SIIA CONFERENCE For a deeper dive into the nuts and bolts of captives, employee benefit brokers and advisers have an opportunity to attend several targeted workshops at SIIA’s 35th Annual National Educational Conference & Expo on October 18-20th in Washington, D.C. The world’s largest event focused exclusively on the selfinsurance/alternative risk transfer marketplace will feature an entire educational track on captives included among 40 sessions. Three of the eight sessions on captives will be devoted exclusively to the broker community. They include the following topics: • What Brokers Need to Know About Stop-Loss Captive Programs • What Brokers Need to Know About Property and Casualty Group Captive Programs • What Brokers and Financial Advisors Need to Know About Enterprise Risk Captives In addition, there will be a workshop explaining SIIA’s more proactive approach on reacting to legislative or regulatory threats to captives that periodically surface, as well as highlight what has been done over the past year, what to expect in the years ahead and what role brokers can play in terms of wielding political influence. Why Brokers Should CARE About CAPTIVES In the film “Field of Dreams,” Iowa farmer Ray Kinsella, portrayed by Kevin Costner, heard a voice that whispered, “If you build it, he will come.” That line essentially sums up a key message to benefit brokers and advisers about the use of insurance captives for their employer clients. Jerry Messick, CEO of Elevate Captives and a member of SIIA’s Alternative Risk Transfer (ART) Committee, says if brokers do not bring captives to their clients as a value-added service, then it’s highly likely someone else will. Captives can provide them with “a dependable, consistent and low-friction, high-margin source of revenue” that doesn’t require marketing to multiple carriers every year in continuously soft market or tremendous account management resources, he explains. Indeed, these arrangements offer brokers a chance to “separate themselves in increasingly commoditized brokerage space,” observes Jeffrey Fitzgerald, Vice President, employee benefits for Innovative Capital Strategies and ART committee member. He says captives also lead to “greater persistency and stability in renewal” and “create a safe space” for employer clients to share ideas and best practice with other owners. With regard to renewal retention, brokers have an opportunity to grow their book of business by connecting clients with a program they feel invested in and “most employers who participate in captive programs stay for multiple years,” adds Michael Madden, division Senior Vice President for Artex Risk Solutions, Inc. and ART committee member. Ideal candidates include those with real risks or a need for risk management and commercial insurance, low-to-moderate frequency of risks with high severity, lines of coverage that are difficult to place in the commercial market and coverages that force high retentions (i.e., hedge fund errors and omissions). Other candidates who stand to benefit include companies that have the need for “customized” policy language, $1 million or more in operating profits, a desire for asset protection, wealth accumulation and preservation in conjunction with a solid captive platform and businesses with multiple entities or ones that can create several operating subsidiaries. In addition, captives will make sense for companies that would rather use their own risk capital than the price they would otherwise pay with commercial insurance carriers as a strategy to combat excessive prices, expenses or limited capacity associated with the traditional market. They also recognize that as these programs mature and more capital is accumulated, risk retention will improve along with the stability of prices and available coverages. have a high probability of occurring would undermine the captive’s financial performance and goals. Here’s an example of how a captive actually works. Let’s say seven restaurant owners pay varying levels of premium as part of a homogeneous group captive retaining $250,000 of risk with a frequency fund covering all losses up to $100,000 per claim and severity fund handling losses of more than $100,000 up to $300,000. One member with two claims of $62,500 each can expect a potential return of $65,000 since the claims are less than $100,000 and also less than the premiums allocated to the frequency fund. Another member with two claims at $150,000, which exceed the frequency fund limits and a third claim of $15,000 requires additional calculations. Frequency losses would total $215,000 (i.e., $15,000 + $100,000 + $100,000) while severity layer losses would equal $100,000 (i.e., $150,000 - $100,000 for each claim) – meaning total claims exceed the member’s frequency fund premiums by $95,000. The captive would pay the excess amount, but bill this member a loss experience charge at the end of the year. And while severity fund losses exceed the member’s premium allocation, they would be shared among captive members within the severity layer in proportion to the member’s allocation of the premiums within the fund, thereby ensuring that each member assumes proportional risk in the pooled layer. By helping employer clients assess their need for a captive, brokers can ensure that red flags will be raised before any long-term commitment is made in error. Problems likely will arise, for instance, if the captive is only interested in tax benefits, there’s no true meaningful risk to substantiate a captive and no independent development of premium charged, it makes immediate investments in life insurance and there’s a captive domicile with little credibility. It’s critical for brokers to initiate discussions of an exit strategy up front and not in five years because the captive, as previously suggested, requires a long-term commitment from each of its members. Other steps related to an exit strategy include the need to establish an objective and model of perpetuity for partnerships (i.e., captive ownership mirrors firm ownership), agree to include the captive with the sale of a business, maintain the generational asset transfer via trust ownership and include “soft landing” depletion of assets with large claims payouts. ■ Bruce Shutan is a Los Angeles freelance writer who has closely covered the employee beneﬁts industry for more than 25 years. he Department of Health and Human Services (HHS) issued proposed rules under section 1104 of the Affordable Care Act (ACA) related to health plan compliance, titled: “Administrative Simpliﬁcation: Health Plan Certiﬁcation of Compliance.” Final rules regarding the ﬁrst of two certiﬁcations of compliance for health plans are expected next month, implementing yet another signiﬁcant piece of administrative simpliﬁcation. Health plan certification is resultant of the ACA requirement that health insurers and other health plans covered by the Health Insurance Portability and Accountability Act (HIPAA) certify their compliance with the standards and operating rules for HIPAA-standardized transactions. The final rules are expected to require Controlling Health Plans (CHPs) to submit information and documentation that demonstrate compliance regarding their electronic transactions involving 1) eligibility for a health plan; 2) health care claim status; and 3) health care electronic funds transfers and remittance advice. 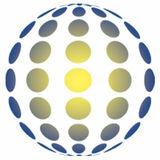 Operation Rules for Information Exchange (CORE) has developed operating rules based on HIPAA transaction requirements. Transactions regarding eligibility for a health plan and health care claim status are known as Phase I and Phase II CAQH CORE operating rules (respectively). CAQH CORE then worked with NACHAThe Electronic Payments Association developing operating rules for health care electronic funds transfers and remittance advice, known as Phase III. The proposed rules require CHPs to submit documentation and information regarding their compliance, as well as their SHPs compliance, with these specified operating rules. Options for Certifying Compliance The proposed rules give CHPs two options for submitting documentation of compliance with this first certification of compliance. They can obtain either the HIPAA Credential or the Phase III CORE Seal. A CHP will find that one or the other will likely better align with the implementation process it uses to implement the operating rules. HIPAA Credential The HIPAA Credential encompasses only HIPAA mandated standards and operating rules, and is available only to health plans. The HIPAA Credential requires the CHP to successfully test the operating rules for each transaction with Trading Partners. For each transaction, the tests must account for at least 30% of the total number of transactions conducted with providers, and must be tested with a minimum of three (3) Trading Partners. If the number of transactions with these three (3) Trading Partners does not equal 30%, the CHP can confirm testing with up to twenty-five (25) Trading Partners. These Trading Partners can be transaction specific, where the same can be used for each transaction, or the CHP can use different Trading Partners for each transaction. While the HIPAA Credential does require internal and external testing, there is no “specific approach.” Rather, the proposed rules state that this is an initial step toward a consistent testing framework for CHPs who chose not to obtain Phase III CORE Seal. Draft documents of the HIPAA Credential were issued in September of 2014, with final documents expected to be issued next month with the final rules. To obtain the HIPAA Credential, the CHP will have to submit the following: • HIPAA Credential Application. This includes CHP applicant information, and lists the required documents for submission, terms, conditions, and fees. It also requires an Authorized Representative’s information and signature. • Attestation of Trading Partner Testing. This includes CHP applicant information and Trading Partner information, and is signed by an Authorized Representative indicating successful testing with Trading Partners for each transaction. © Self-Insurers’ Publishing Corp. All rights reserved. compliance requirements.The proposed rules do not mandate that CHPs require their BAs to comply directly with the requirements, but instead assume that when the CHP submits required documentation, it is confirming that it is requiring BAs to comply with Part 162 C.F.R., and certifies that its SHPs and BAs are compliant with the HIPAA standards and operating rules. The proposed rules do not place any new burdens on CHPs with regard to their SHPs and Bas. However, it’s expected that final rules will address this issue further. That being said, the Phase III CORE Seal does place additional burdens on CHPs with BAs that conduct all or part of a transaction related to a CAQH CORE Phase. Any CHP wishing to obtain a Phase III CORE Seal that is dependent on a BA for one or more of the CORE operating rule requirements must have that BA achieve CORE certification separately. Deadline for Submission The proposed rules state that submission of documentation of compliance for CHPs is based on when the CHP obtained its Health Plan Identifier (HPID). Final rules regarding HPIDs mandated that CHPs obtain a HPID by November 5, 2014, unless their annual claims were less than $5 million, in which case the plan had until November 5, 2015, to obtain an HPID. However, as you will recall, due to a last minute delay by the regulators, the HPID requirement has been postposed for the time being. The proposed rules state that a CHP that obtains a HPID before January 1, 2015, would be required to submit documentation of compliance with the operating rules concerning these transactions to HHS on or before December 31, 2015. A CHP that obtains a HPID on or after January 1, 2015 (and on or before December 31, 2016), would have 365 days to submit documentation to certify compliance. Again, we’ll wait to see if these deadlines are extended by final rules. Penalties for Non-Compliance Penalties for failure to submit certification of compliance are based on the CHPs number of covered lives, including its SHPs covered lives, under its major medical policy. The proposed rules indicate these covered lives are defined as persons who are actually enrolled in the plan, and do not include those who were eligible but chose not to obtain coverage. It does include all spouses, partners, and dependents covered under the plan. CHPs will be assessed a $1 per covered life per day penalty (capped at $20 per covered life) for non-compliance. CHPs that have actual knowledge of the inaccuracy or incompleteness, or those who boldly ignore the compliance requirements will be assessed a flat $40 per covered life penalty. This article is intended for general informational purposes only. It is not intended as professional counsel and should not be used as such. This article is a high-level overview of regulations applicable to certain health plans. Please seek appropriate legal and/or professional counsel to obtain speciﬁc advice with respect to the subject matter contained herein. Cori M. Cook, J.D., is the founder of CMC Consulting, LLC, a boutique consulting and legal practice focused on providing specialized advisory and legal services to TPAs, employers, carriers, brokers, attorneys, associations, and providers, specializing in health care, PPACA, HIPAA, ERISA, employment and regulatory matters. Cori may be reached at (406) 647-3715, via email at cori@corimcook.com or at www.corimcook.com. SIIA Endeavors SIEF’s 2015 Self-Insurance Executive Summit in London The Self-Insurance Educational Foundation, Inc. (SIEF) is a 501(c)(3) non-proﬁt organization afﬁliated with the Self-Insurance Institute of America, Inc. The mission of the foundation is to create and underwrite educational initiatives that serve to promote a greater awareness and understanding of self-insurance/alternative risk transfer. ondon has long been the center of the global insurance marketplace. SIEF is pleased to use this location for a special educational and networking event designed to help attendees better understand how self-insurance strategies continue to be shaped by trends and developments on a worldwide basis. Join senior industry executives from the United States, the United Kingdom and other major insurance marketplaces September 14 -16th at the Apex City of London Hotel as we share knowledge and facilitate important professional connections in this historic city. So pull out that tiny slick mobile device and give us a call or send us an email to find out how we can reduce your healthcare spending. on the opportunities and obstacles of global accident and health. The discussion will include the evolving distribution and importance of education in this arena. The sessions will conclude with “Solvency II – What it Is and Why it Matters to Companies on Both Sides of the Atlantic.” The Solvency II insurance regulatory initiative is already changing the risk management landscape throughout the European Union, but its impact is not limited to this continent. This session, presented by Ciarán Healy, ACCA ARM, Willis Captive Practice of Willis Ireland will provide a brief overview of key Solvency II provisions and explain why it matters to certain companies on both sides of the Atlantic, including U.S. subsidiaries of EU companies and EU subsidiaries of U.S. companies. There’s only one choice for delivering compliant, automated payments to your Providers. Introducing Select+ ®, a new Virtual Reimbursement Account created specifically for the needs of the healthcare industry. Increase your Provider enrollments by giving them a choice that reduces workload and ultimately reduces costs for you. That’s a better way for everyone to get paid.